It was a remarkable moment in the history of ExpressionEngine that the ExpressionEngine 5 is launched and it’s the first release as free open source CMS Software. ExpressionEngine has always been quite useful and best performing content management system (CMS). The previous versions of ExpressionEngine were paid, but still it was one of most flexible and adaptive CMS. ExpressionEngine is currently used by 0.3% of all content management websites and 0.2% of all websites. This new version gives a clean break and adds clarity for all users of license they are using. EE 5 version will remove the licensing and restrictions to core features. It would also not impact the third party add-ons*. ExpressionEngine is stepping ahead on the next level. Now ExpressionEngine is available in Public on GitHub, and also licensed under permissive Apache 2.0 Software License. 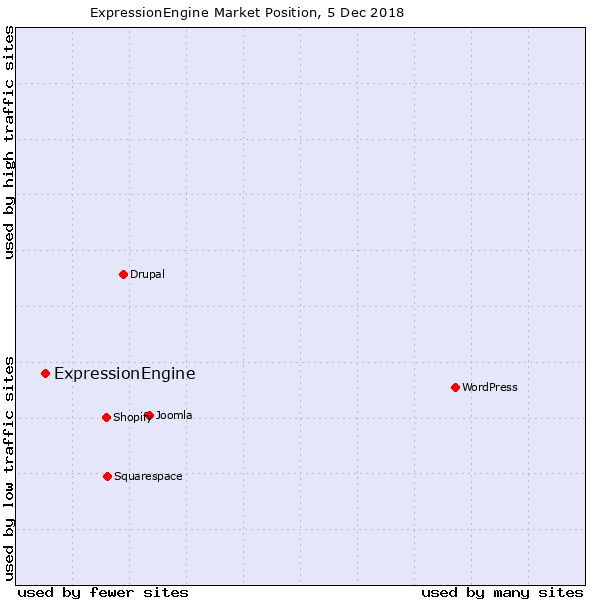 As we all know that FOSS is the boss, so ExpressionEngine is free open source software now and it is licensed under permissive Apache 2.0 Software License. Now you need PHP 5.6+ for ExpressionEngine. Now EE NEWS Feed is opt-in on the control panel homepage. Now sharing of diagnostic and usage data to expressionengine.com is opt-in. License page is removed from Control Panel. License checks and restrictions are removed from ExpressionEngine site manager. Restrictions on “Core” version feature are removed. Rendering bug and potential XSS issue is fixed. Fixed a bug where in rare circumstances, a relationship tag was left unparsed. Fixed a bug where a Channel entries tag with a categories parameter could generate errors when the tag returned no entries. Along with this new version, preceding version is now legacy software. ExpressionEngine version 4’s end of life is scheduled for 16 November, 2019. Now there will be only security updates. Our ExpressionEngine developers are actively working on ExpressionEngine since 2010 and have developed for many clients. We have always enjoyed ExpressionEngine development. Now though, ExpressionEngine is launched as FOSS (Free Open Source Software), this is obviously going to give us a great experience. Good Luck to EE Members!!! *Due to this vital change in version of ExpressionEngine, all EE Harbor add-ons need to be upgraded before upgrading ExpressionEngine version to ensure a non-problematic upgrade process.